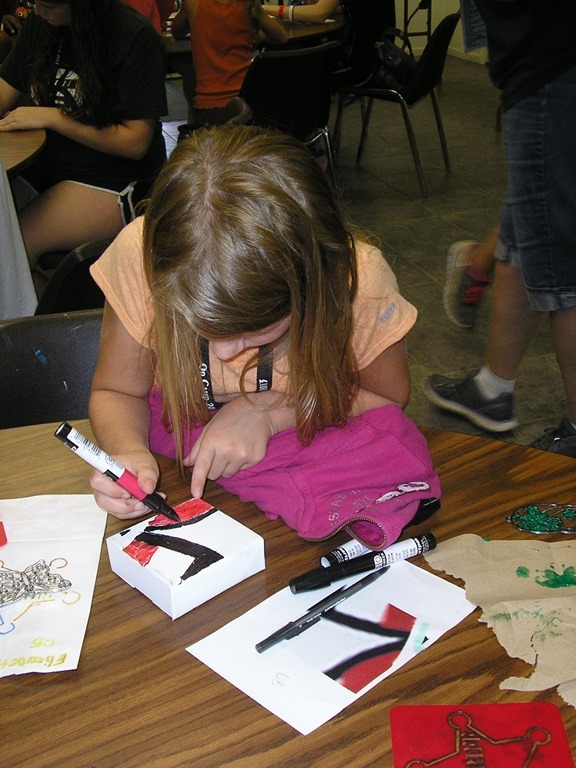 With KHEL’s grant, we purchased 100 4″ x 4″ canvasses and markers. If you will recall, the fertilizer plant that exploded in Texas destroyed schools. 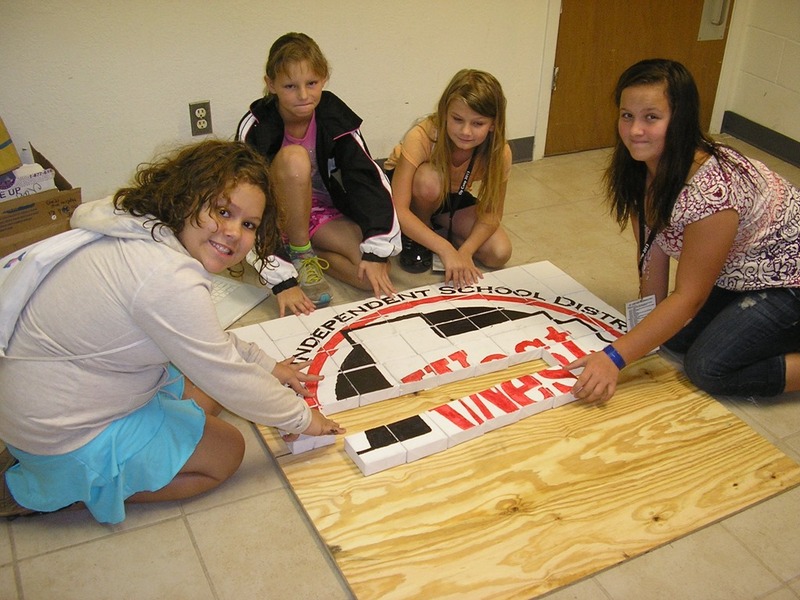 Since the kids of Mineral Wells receive a service by being able to attend Op Camp, I thought it would be good for them to do a service project for the West, TX, schools.These photos are of the mural the Op Camp campers made for West School District where the explosion occurred. The campers, with the help of our great volunteers, painted squares and helped assemble the mural. Then, everyone put their initials on the outside border edge of the canvas. The smiles on the campers when they saw the what they had created was incredible! 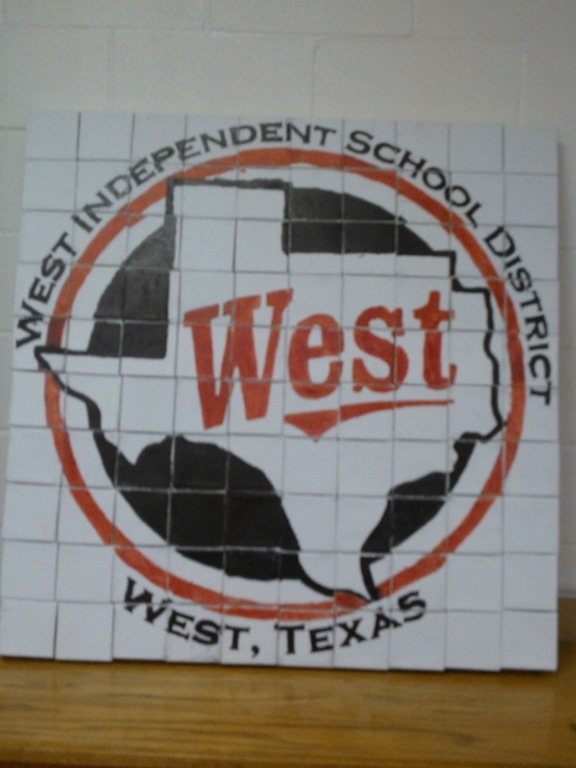 The community of Mineral Wells will deliver the mural to the West Texas School district’s next meeting.